The estimated average monthly expense for The Park At 7th Avenue Assisted Living Center is about $3,674. This is greater than the $3,250 average cost in the city of Phoenix. While the national average cost is around $3,500, the State of Arizona is around $3,150 monthly. The Park At 7th Avenue Assisted Living Center is located in the North Mountain area of Phoenix, Arizona. They are a living community catering to older individuals. The zip code of 85021 in which they are located is a mostly middle class area. It has an average per-family income of $44,596. It has a dense population, including approximately 37,743 people in the surrounding area. They are centrally located, with shopping, healthcare facilities, and churches all in the surrounding area. There are dozens of drug stores within a mile of the community. They're located only 1.1 miles from John C Lincoln North Mountain Hospital. There are also a large number of churches within 4 miles, including Covenant of Grace Christian, Fountain of Life Ministries, Native American Fellowship, and America's Destiny Church. The Park At 7th Avenue Assisted Living Center offers assisted living. 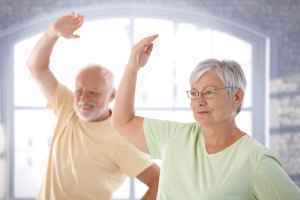 The community is an excellent fit for individuals who require assistance with common chores like preparing meals, bathing, and house work, but who are able to move around and are somewhat independent.